They had us cornered and were ready to get rid of us. Or at least that is what they thought. First mate : Thought you had us fooled mate? Think again. Gunner : Oye Oye, drop your weapon or you will lose your head...literally. Narakdu(Raising hands) : Does this mean I don't get paid Boss:( ? We had our fun disposing off the rogues. Many challenges still await us as the quest for the Blue compass only gets tougher. For now, we set sail to a nearby industrial island for repairs and eating...uh information gathering. Chembur is a district that I have never been to so far. Its far and too industrial. So I was very skeptical about going to Kook when I received an invitation by the owner. The owner decided to take care of my biggest peeve - traveling and thus I dived into the unknown. 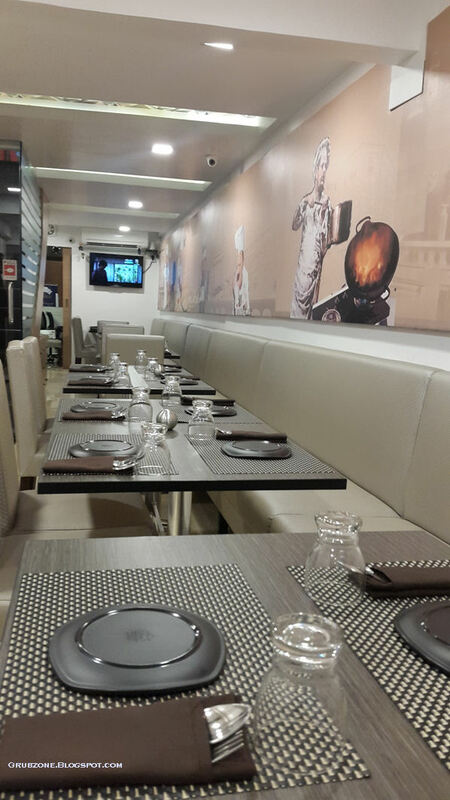 Kook is a small eatery which specializes in catering but has recently opened up a fully functional dine in restaurant. 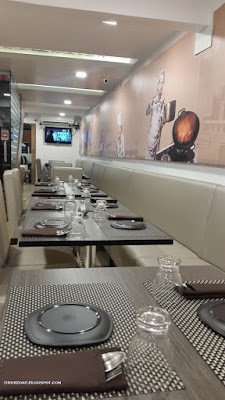 The restaurant is composed of a small Al-fresco which faces the road and an air conditioned dine in area which is somewhat underground. Despite being small, the area has been effectively used and has its own theme and decor to go along with it. The ambiance may not be the best but feels comfortable. I was worried that I may feel claustrophobic (I have an issue with small places) but thankfully that problem did not exist here. And if the comfortable dine in wasn't enough, there are even large screens to display IPL, EPL or whatever that dominates prime time. The Kook special was a fruity virgin concoction with peach, cranberry and apple juices. It was fizzy and slightly spicy which came from the addition of cinnamon and 7 up. 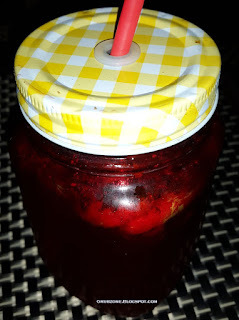 A simple but effective mix to beat the heat. Butter Garlic Prawns were smooth, slippery and quite flavorsome. The butter garlic garnish had imbued a perfect blend of salty and savory flavors upon the prawns. Each bite was full of juicy flavor. The prawns tasted very fresh and the preparation felt very inspiring. If one loves sea food then this is a must try. Captain : Smooth and tasty. I love seafood. First Mate : I wonder if the sharks liked the land food when we tossed Narakdu to them. Captain : Depends on whether the sharks like junk food. 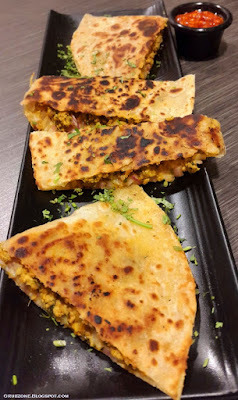 Baida Paratha(bread stuffed with egg and/or minced meat) is a tricky creation. A slight miscalculation can give a hard chewy dough and there always is a chance of the stuffing tasting bad due to the way its minced. Even big names falter on Baida parathas many times. Thankfully, Kook had no such issue. Despite becoming cold from all the delay due to food photography, the dough remained soft. The minced meat tasted genuine and savory. I actually regret not going for seconds on this. It was quite a journey for my mouth traversing the depths of this delectable creation. Veg Thai Roll looked pretty to the camera. 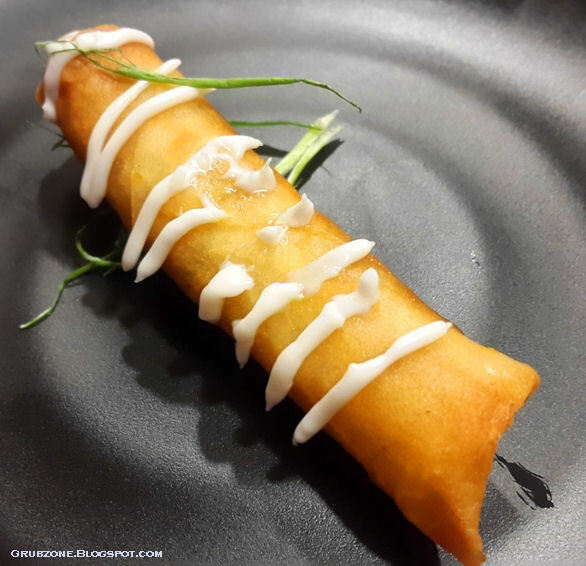 This pastry roll was filled with a soft stuffing of minced greens and kaffir lime. The first bite put me on a high with the subtle flavor of kaffir lime driving my taste buds to cloud nine. The minced vegetables were clearly a masterstroke. There were no obstructive large chunks of vegetables to spoil the day. A good option if one wants a vegetarian entree. Captain : The lone roll on the plate reminds me of someone. Gunner : Rocky? After you marooned him on an island with a pistol and a single bullet? Captain : Nah, I replaced the gun with a water pistol. Gunner : You are such a troll. Tawa Mutton Chops was a colorful dish that reminded me of Autumn in temperate destinations. Reds, browns, greens with a little yellow - ah, this was almost an edible painting. Shame my camera could not see what my eyes did. The flavor was very North Indian - moderately spicy and very Punjabi with a bit of grease. Kook manages to successfully juggle multiple cuisines in limited infrastructure. This is quite commendable. Chili Garlic noodles was the only dismal preparation in the entire eating experience. These felt very flat and uninspired. 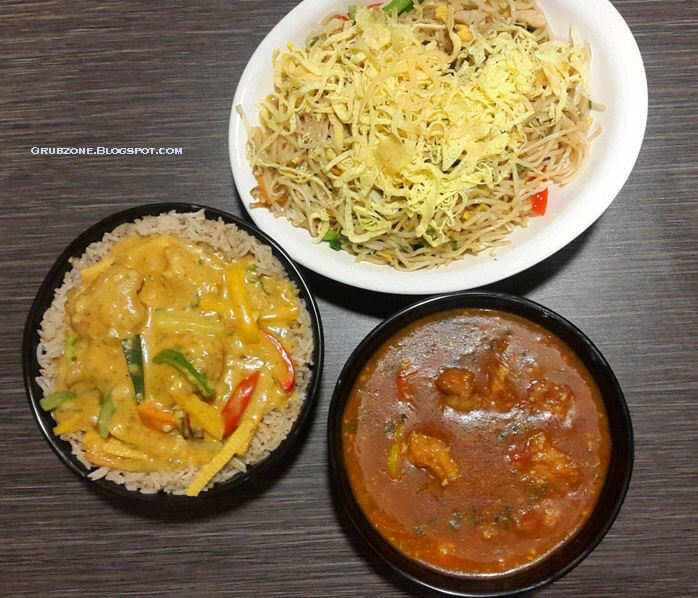 The chicken in oyster sauce was a mix of tangy, pungent and savory flavors which made it quite a lip smacking dish. It tasted well with the Thai Pot rice. Thai Pot Rice was the best eat of the day. It was a good emulation of the original Thai delicacy in flavor. It may need a bit of work as far as the visuals are concerned though. It was Zohan grade silky smooth due to the cornstarch adding a soft touch. It almost felt like an Asian Risotto. I would recommend this for roughage to go along with the meat or stews. Captain : The rice is so amazing. I wonder how our friend Peter is doing...on the other side. First mate : Don't think that he is coming back from Davey Jones locker anytime soon. Captain : No one steals from the Captain, No one. First Mate : Now to solve the mystery of the fool's co-ordinates. The desserts at Kook felt very average. The eggless variants tend to disappoint any true dessert connoisseur. But I suppose the vegetarian variants are targeted at the broader Indian audience. 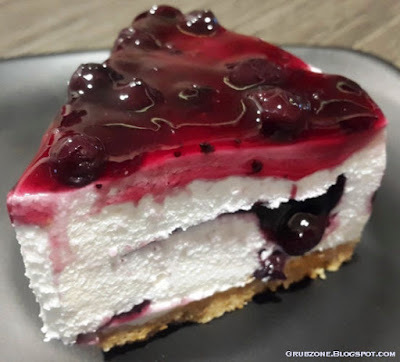 The Blueberry cheesecake was a no bake variant made of cream rather than cream cheese. It tasted very similar to the conveyor belt variant offered at Monginis or Birdys. I prefer my cheesecakes to contain eggs, Philadelphia cream cheese and be baked. 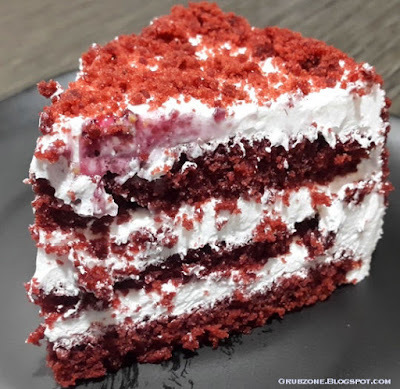 The Red velvet cake was much better and clearly a better eat. Though it too suffered from the lack of genuine ingredients. Cream cheese or mascarpone should replace the whip cream. The cake itself was quite good for an eggless variant. Kooks Pricing tends to be on par with most mainstream North Indian restaurants. The appetizers may feel a bit pricey though. I will leave out service since the restaurant has just opened and this was a meal on an invitation. Kook in conclusion kooks up a real meal with real value for money. I wouldn't advocate it as the best or soul stirring and the like. But it serves up a good meal which is the only thing that matters at the end of the day. Its location can be a hassle for folks on the western side but if you cannot travel, try ordering a hot meal from the place. Captain : That old man did not look like a liar but why would he give me bogus co ordinates? Captain : Wait a minute. (Multiplies the three digits of each ordinate 352, 258) Three by five by two gives thirty and Two by five by eight gives eighty. These look like valid co ordinates, YES. But hey is it North or South. East or West. Four possibilities. Urgh.